If you are reading this, live in Chicago, and can get over to Humboldt Park at 5pm on a Wednesday night then you should come to my “Mini Comics and Jams” class. I teach it at Rumble Arts which is a great community arts center located at 3413 W. North Ave. Classes are donation based but if you are broke do not worry, I’d love to have you there anyways. Bring along your friends too. Classes are generally pretty small so we go over whatever you want to learn. If you have no idea where to start with making a mini-comic I’ll point you in a direction and we can go from there. 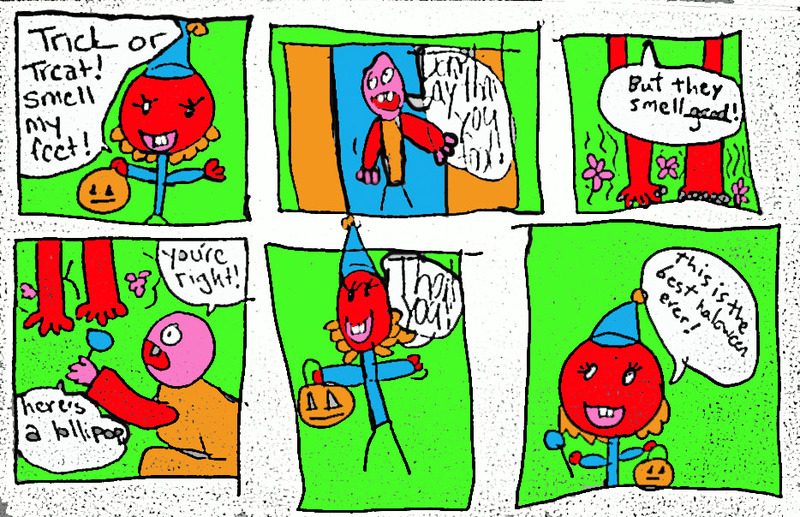 Sometimes the entire class will be devoted to just creating comic jams which are spontaneous group-made comic strips that often turn out surreal and hilarious. No drawing experience is necessary. This is not a drawing class but rather we go over processes you can use to create comics. Mini Comics and Jams @ Rumble Arts 3413 W. North Ave.
Wednesdays from 5pm-6pm. The first time you come you may want to come a few minutes early to register.